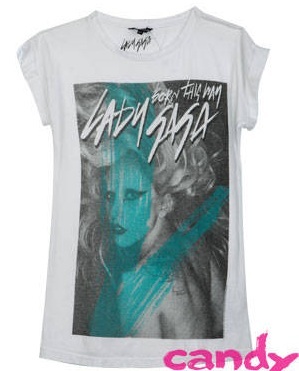 Graphic tees aren’t anything new. We’re pretty sure you have at least one in your closet. This season, let’s give it a little twist. 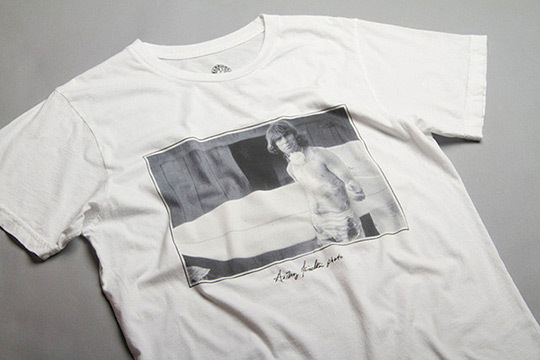 Most photo print tees incorporate fashion photos as their print, some designers use landscapes, art, sceneries, and also animals as the main design of their pieces. TIP: If your print is loud enough, keep the accessories and other details of your outfit to a minimum. Photo prints usually look nice if paired with any black bottom or blazer. If you’re feeling experimental, try to mix and match with another color of your bottoms also present in the print of your tee. Cut the scarf into 5 strips, each 2 inches wide. Start folding the material back and forth like an accordion, ironing each fold so the material is pleated. Repeat on 4 of the strips. Cut tops to even off. Using the last strip and a large needle, thread each pleated strip. Trim bottom to create your desired shape. Tie around your neck over a little white dress to create the perfect summer look! This will just be a short blog post. I need to go to an event right now and I only have 20 minutes to prepare. So, for you, who rocked the Little Black Dress this time? Hillary Duff or Fergie? “I mustache (must ask) you a question.” I so love the statement in this iPhone 4/4s case! This necklace has the most adorable charm. It’s a mustache-in-a-bottle charm! A mustache detail adds a bit of fun to this mug. Take a sip for a silly look. In need for a disguise? You can go undercover anytime with this cool necklace. Is it a mustache or a necklace? It’s better than that. It’s both! Whether you’re look for the day is edgy or glam, you’re definitely gonna stand out! It’s a classic comedy disguise for a cute nerd, complete with mustache. Wear these funny frames for a few good laughs. Sporting tousled waves, Emmy Rossum looked sensational wearing a Cynthia Rowley Spring 2012 dress on the ‘Conan’ show back in January when she promoted the 2nd season of ‘Shameless’. She wore the white lattice dress with a pair of electric blue pumps which added a pop of color to her fresh look. Ariel Winter wore the same dress to the 2012 Nickelodeon Kids’ Choice Awards last month. The ‘Modern Family’ actress, who opted for a side-swept ponytail, looked super cute, but she let herself down by teaming her white dress with black Aldo wedges. Who do you think wore it better: Emmy or Ariel? Cut out the back of the shirt. You’ll want to leave about 1/2 inch from the seam so that you can stitch the lace directly on the seam line. Using the back of the shirt as a pattern, cut out a new back in lace. Next, turn the shirt inside out, pin the lace where the original back was, and sew into place. Because you left a 1/2 inch of fabric, it’ll be easier for you to sew it to where the seams are in the inside. Once you’ve sewn it in place, hem the bottom of the lace. All done! The stitching shouldn’t be showing and will line up with the original seam! Tip: Go slow and sew/pin each turn one at a time. This helps to keep the lines crisp! “Huh? What on Earth are flatforms?” They aren’t your typical platform heels that make you wonder how people could balance on them. Flatforms are more conventional since the heels on these comfy shoes are flat that can save you from all those “Oops!” moments trying to stand on sky-high heels. To all the girls out there having a hard time with heels, these are your ultimate lifesavers! Wear them on a casual day running errands, or use it to pair your new LBD (Little Black Dress) for a semi-formal event. 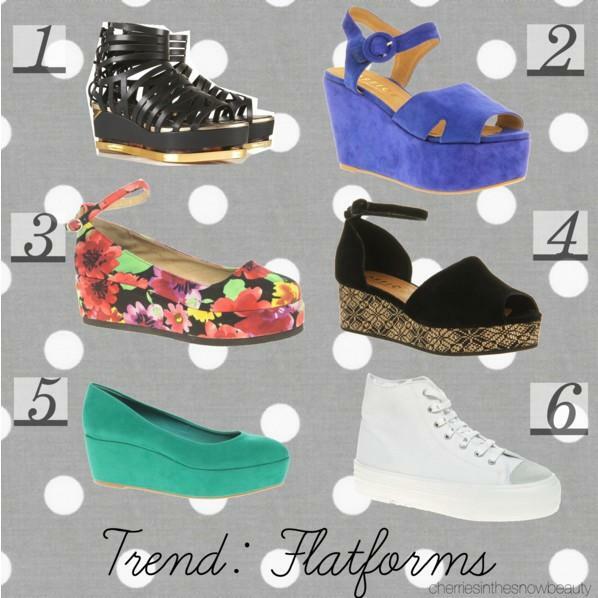 Flatforms are very versatile. Some of these shoes even have different patterns for the heels! Never get scared to sport this new trend! Mirror, mirror on the wall, who’s the fashionable of them all? In this edition of Fashion Faceoff, two actress who’ve recently taken on the iconic role of Snow White stepped out in a similar Mulberry dress just seven months apart. And now, it’s time for us to decide which of them will be the heroine of this style story. I’m so excited to share this D.I.Y. with you today! This is a follow-up post for the Trendsetter Go-getter post about stacked bracelets. This project is fun to create and a great gift idea! You will learn how to create your own leather bracelet. Cut strips of leather that are 1-2 inches longer than your wrist size. You can also use high quality faux leather or vinyl. Paint geometric designs. Don’t be scared, have fun experimenting! Finish off your designs with a second coat of paint and allow to dry. Put the snap on one side and then use it to measure where you want to punch the hole for your second snap. Follow the instructions on the snap hardware package to attach your snaps. Trust me, it’s super duper easy! 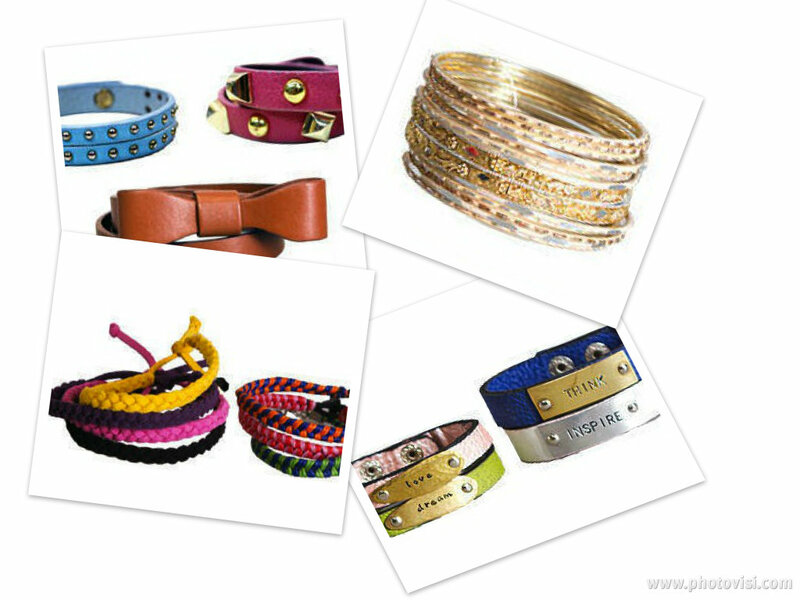 Tip: You can use glitters or different materials to beautify your leather bracelet! Today, we’re not just stacking plates, but also bracelets! Have you seen someone wearing layers of bracelets on their arms? Bangles, friendship bracelets, charms, leather bracelets, watches—any accessory that you can put on your wrist is allowed to be stacked. The possibilities are limitless! The more textures, the better! 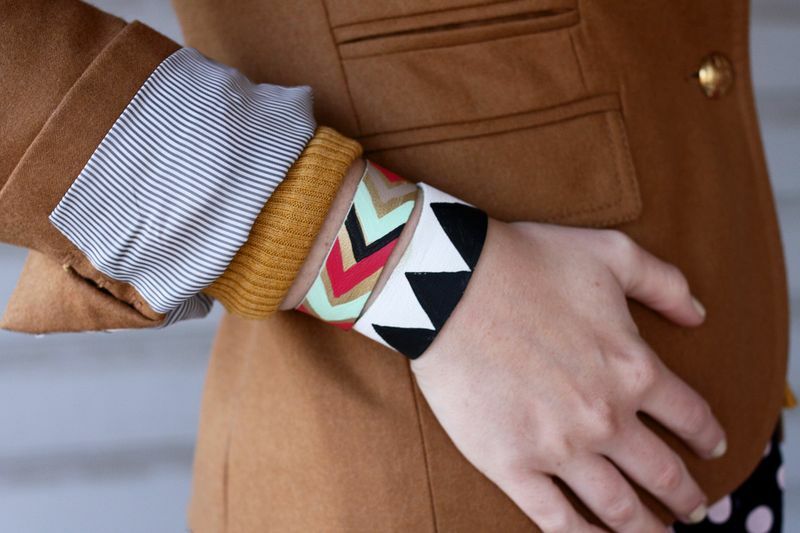 When wearing multiple bracelets, never be afraid to mix and match! It’s always fun to add a little surprise! Don’t be scared to play around with different shapes, materials, and colors.